I'm a part of the Mom It Forward community, and was compensated for this post. As always, all opinions are all mine. 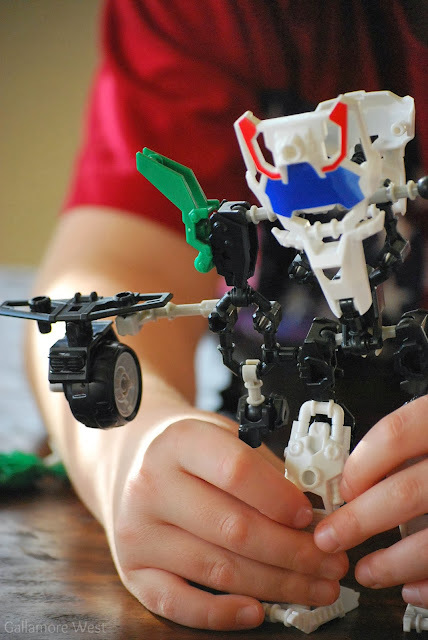 With a house full of boys, I try to find toys that are fun, affordable, having a learning aspect to them, and toys that don't require a bunch of batteries. So when I found out about Hasbro's Transformers Construct-Bots, I was excited to have my two older boys try them out and see how they liked them. We tried out a Transformers Construct-Bot called Wheel Jack. 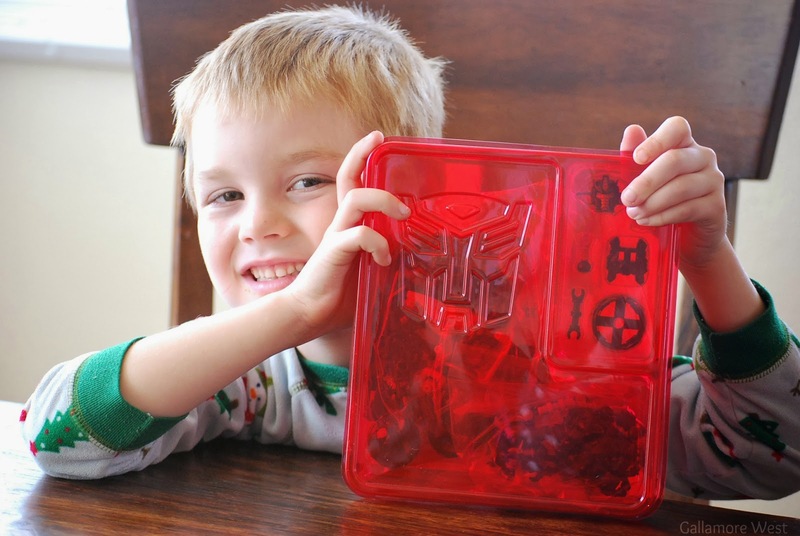 Moms will love that Transformers Construct-Bot come in a convenient storage case. 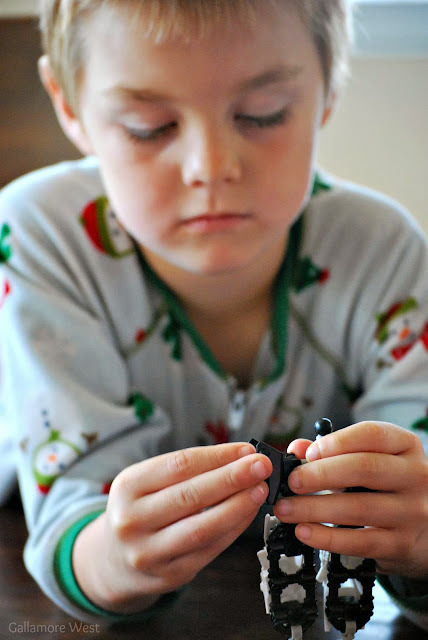 The boys got to building and right away I noticed something different happening than with many other toys they have... they were practicing their fine motor skills. 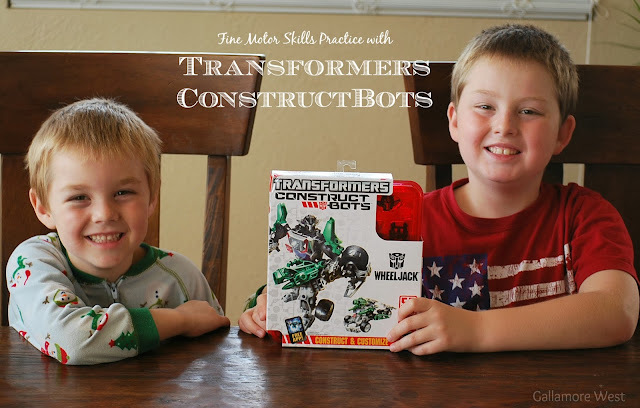 This is a HUGE plus to playing with Transformers Construct-Bots because while both of these boys are great students, they are both working hard on their fine motor skills skill. Holding crayons, pencils, writing neatly... all of these things are fine motor skills that are perfected with time and practice. 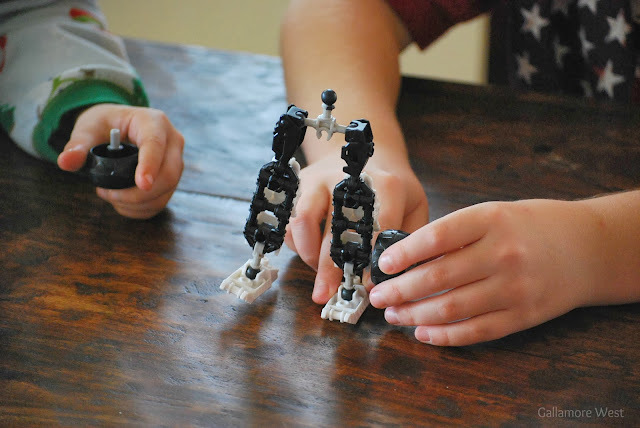 Little did they know that while they were having a blast playing, they were also working on some important fine motor skills by fitting together the pieces to build their custom Construct-Bot! Another thing I noticed was that the boys were working together, discussing how to make their custom creation. Again, they were working on valuable skills, teamwork and learning to work together, without even realizing it! 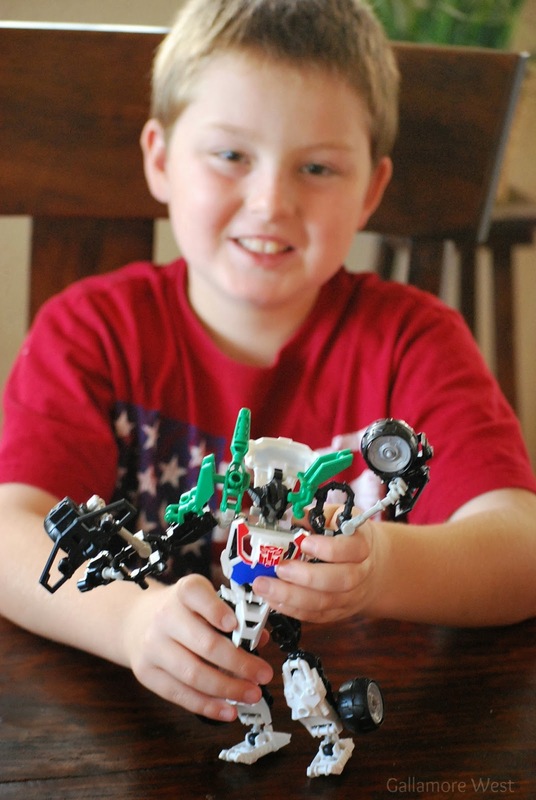 They decided to build themselves a Silly-Bot! 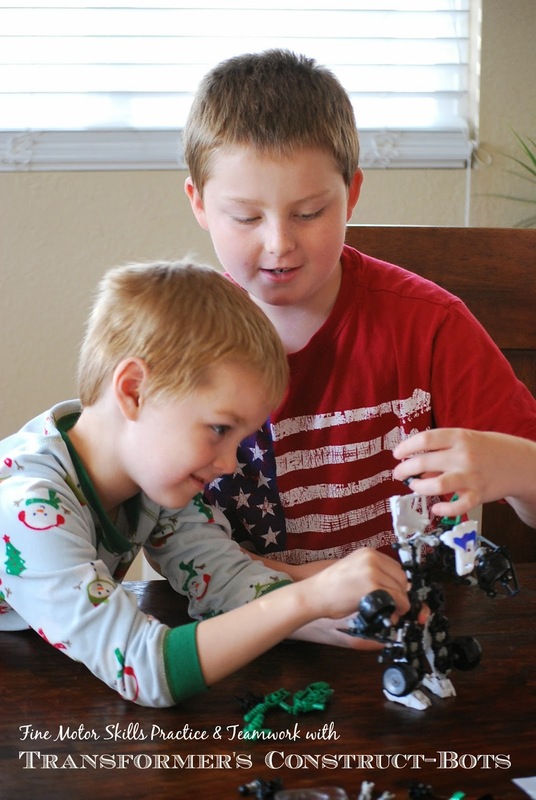 They were giggling up a storm while playing with their Transformers Construct-Bot creation. With a few quick moves, they transformed their creation into a Silly-Bot car and were racing it around the table. Looking for a toy that doesn't make a bunch of noise, doesn't require any batteries, and helps your kids work on fine motor skills and team work? Grab them a Transformers Construct-Bot to put under the Christmas tree! 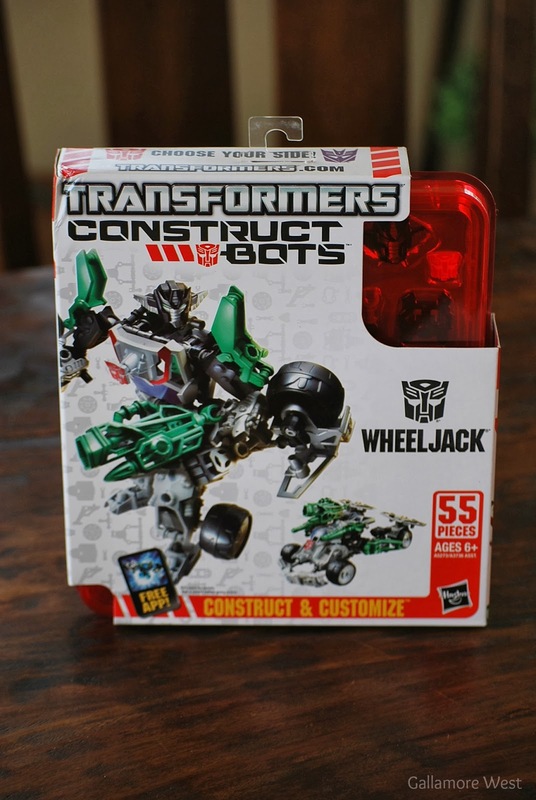 For more information on Transformers Construct-Bots, check them out on Facebook and Twitter. My boys would DIG these!!! 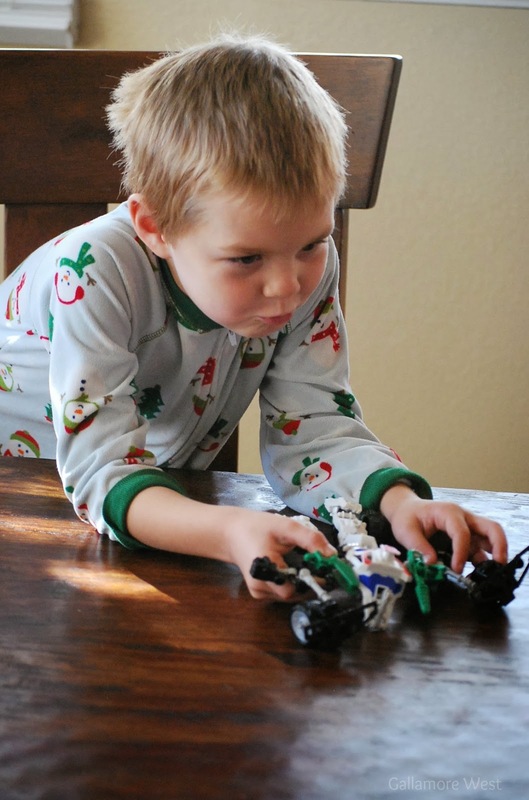 Cute photos…love your boys!